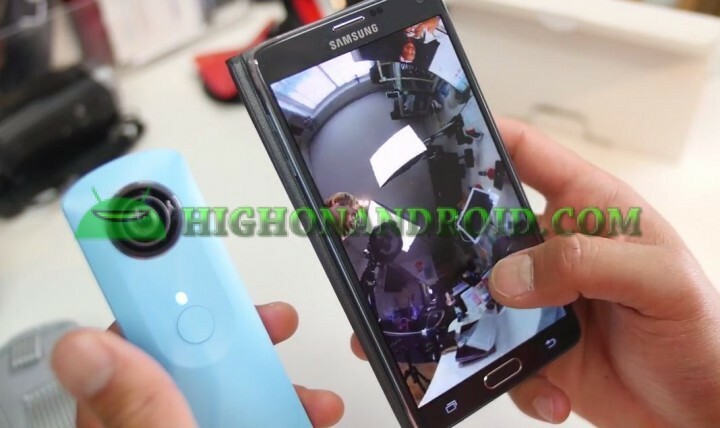 For those of you who want to go beyond another level for Google’s PhotoSphere mode on your Android device and take seamless 360-degree photos, you may want to consider the Ricoh Theta M15 360 camera. The Ricoh Theta M15 360 camera features two 180-degree fisheye-like lenses that capture 360-degree photos and videos. For photos, your 360-degree photos are taken instantly, no need to stitch up 30-50 different photos using PhotoSphere mode. For videos, you can take full 360-degree videos that can also be easily uploaded to YouTube’s new 360-degree video feature. For storage, the Ricoh Theta comes with only 3.7GB of usable storage. This isn’t much storage (and I wish there was a micro-SD card slot option) but this will be plenty of storage for taking 360-degree photos and videos all day long. 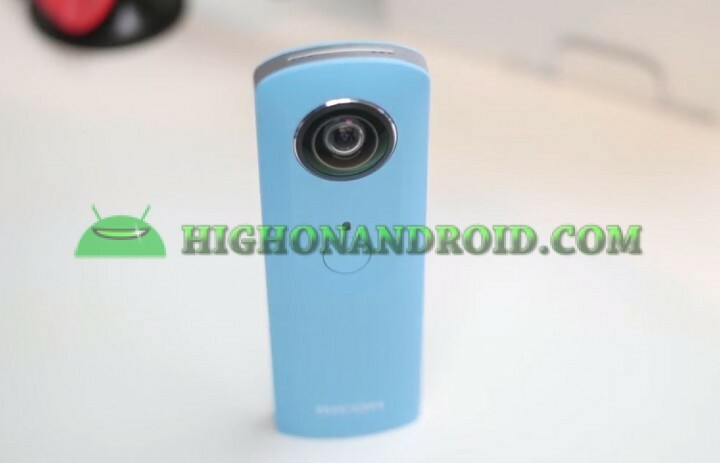 Oh yeah, the Ricoh Theta limits you to only 3-minute video clips at one time and a total of 40 minutes of 360-degree video. If you need to take longer videos, this might not be the 360 camera for you (instead you may want to consider the Kodak 360 camera). My current favorite features include the easy-to-use Android app (which allows you to transfer your 360 photos instantly to your phone and also view them in full 360), micro-USB charging (so you can re-charge easily using any micro-USB adapter or USB power bank), and simple-to-use interface (just hit the button to take photos). Overall, for what it is, the Ricoh Theta M15 is a super, portable 360-degree camera that’s going to capture some great 360-degree photos and videos on the go. For some of you, this could be an important feature if you are let’s say a realtor. You could literally take 360-degree snapshots of your new house listings in matter of minutes. 360 degree videos are not too bad either but honestly we are looking at VGA pixels at best. There will be more powerful 360 cameras out later this year but until then, the Ricoh Theta is the best as it gets to taking full 360-degree photos and videos. You can get the Ricoh Theta M15 on Amazon. I am curious about the quality of compression and pixel size of the final still or video images? Is there a way to download the images to your computer? Next story How to Install Flash Player on Android Lollipop! Previous story How to Make a Qi Wireless Charging Car Mount!